Taste test: These are some of the best sour cream and onion chips anywhere, particularly when you consider that they're a non-rippled chip. 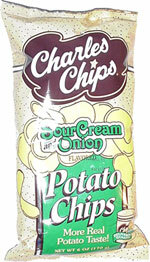 (Many other impressive sour cream and onion chips, such as the Wachusett variety, are rippled.) These are thin, crisp and quite delicious. They have a ton of onion and sour cream flavor, without having all that much powder that you can see. 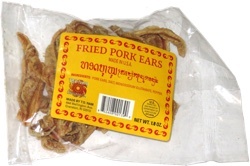 They leave a slight oily residue on your fingers, along with an impressive amount of onion taste in your mouth. Smell test: Very nice, creamy aroma.